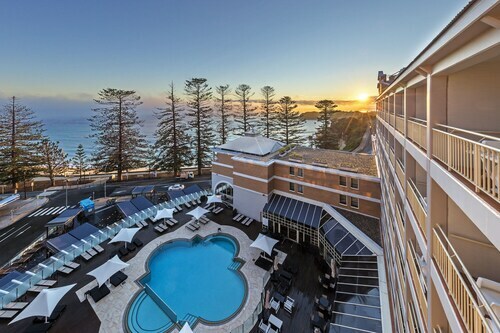 Situated in Gosford, this hotel is within a 15-minute walk of Central Coast Stadium and Gosford Golf Course. The Entertainment Grounds and Laycock Street Theater are also within 1 mi (2 km). 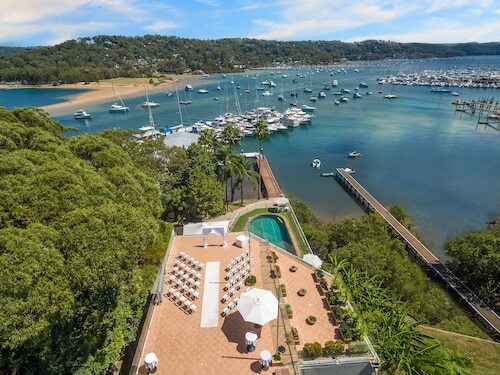 For a holiday that packs beach, rainforest and great weather together, head to Gosford. The city is located on New South Wales’ Central Coast and is a popular destination for locals and visitors from out-of-state alike. 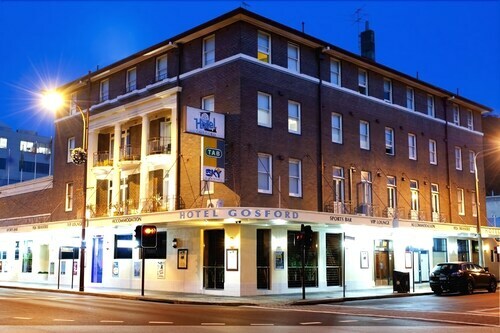 Stay in one of our Gosford hotels and find out what makes this city so special. Gosford’s CBD is a thriving shopping and community area, with changes recently made to the city’s central park to include a restaurant, outdoor performance areas and a waterway. More developments are expected over the few years, including the addition of a children’s dedicated playground, performing arts centre and cycle link to Woy Woy. Gosford’s rich history still remains, with remnants of the past almost everywhere you look. The Gosford Regional Art Gallery and Arts Centre, in addition to having an impressive collection, highlights Gosford’s historical links to Japan. One of the gallery’s main attractions is a Japanese garden and pond filled with gleaming koi, which was built by their sister city, Edogawa. Many of the buildings in Gosford are also included on the Mann Street South Heritage Walk, including The School of Arts, a majestic building crafted from sandstone, and The Old Courthouse, which has since been used as the Conservatorium of Music. The most historically significant of all Gosford’s attractions is the Brisbane Water, a large harbour that lies to the south of Gosford. The harbour was once home to several aboriginal tribes and still remains a large part of their culture and religion. Part of the Brisbane Water has been cordoned off as a national park, where you can take walks through the subtropical rainforest environment, take snapshots of the native wildlife and plant life or enjoy a barbecue at one of the picnic areas. The Brisbane Water is also the site of the Bulgandry Aboriginal Engravings, a number of images carved into the flat rocks throughout the park. These carvings are best viewed at dawn or dusk. The Brisbane Water’s shores are also great to visit during warmer weather. The clear waters are perfect for swimming and snorkelling in, or simply stretch out on the white sands for your own little slice of heaven. With Gosford located just over an hour from both Sydney and Newcastle, getting there is easy. Take a drive or take a train across the Newcastle and Central Coast Line railway, during which you will pass the beautiful Lake Macquarie and many intricate street art murals. 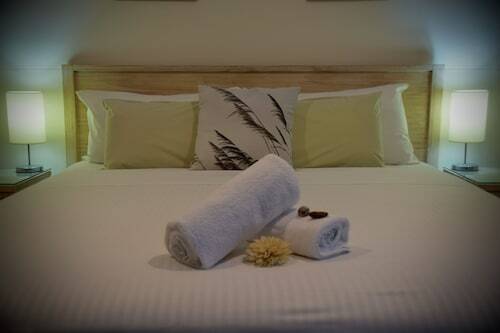 No matter how you get there, book your Gosford accommodation and embark on a trip combining great tourist experiences with Aussie hospitality. How Much is a Hotel Room in Gosford? 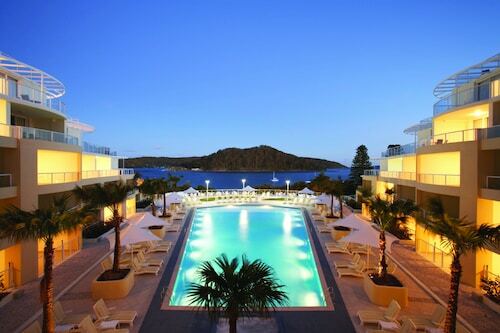 Hotels in Gosford start at AU$79 per night. Prices and availability subject to change. Additional terms may apply. The view. The staff where very helpful. Our room as spacious.